Learn to stand for truth no matter what the price. Standing for truth comes at a high price. Though men and women who stand boldly for their faith sometimes go down in history as heroes, their moment-by-moment circumstances are usually anything but glamorous. Maybe you can relate. How should we respond when others mock, ridicule or exclude us because of our stand for Truth? 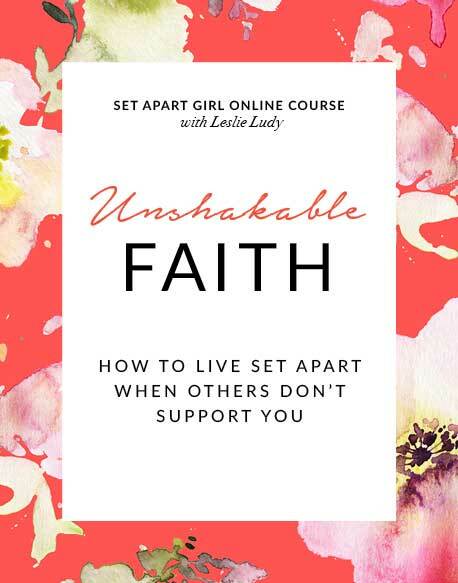 In this powerful course, Leslie shares Biblical encouragement to help you become unshakable in your faith even when others ridicule you, how to act around friends and family who don’t support your set-apart lifestyle, and how to tap into the many spiritual blessings that are available to us when we are willing to endure persecution, misunderstanding, and shame for the sake of Jesus Christ.